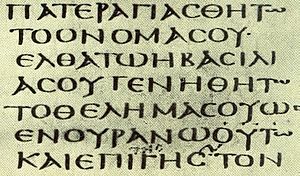 There is a great deal of pressure today upon modern scholarship to conclude that the New Testament was written long after traditional Christianity has claimed. Many even believe someone other than the apostles wrote it. Is this so? Is there a reasonable argument against this proposition that supports traditional Christianity’s point of view? Below are several blogs I wrote awhile ago. Perhaps they may address some questions you have. Click on the desired study and check it out! Luke v/s Paul — Truth or Confusion?